Company: CNOOC and Shell Petrochemicals Company Ltd.
CNOOC and Shell Petrochemicals Company Ltd., (CSPC) is a joint venture between Shell Nanhai B.V., a member of the Royal Dutch Shell, with a 50% stake, and CNOOC Petrochemicals Investment Limited (CPIL), also with 50% CPIL is owned by China National Oil Corporation (CNOOC)(90%) and Guangdong Guangye Investment Group Co., Ltd. (10%). The total investment is US$4.3 billion. The complex has 11 process units. 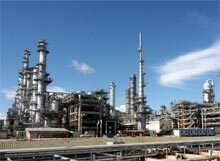 A lower olefins plant produces ethylene and propylene, the feed for the other units in the complex. The downstream units are LDPE, LLDPE/HDPE, PP, SM/PO, EO/EG, and MPG/Polyols. The total output from the complex is 2.3 million tpa. Apart from the process units, the project also involves the engineering and construction of utilities (including steam and power plant) and logistics. Plant Resource Manager (PRM), a real-time device management and advanced diagnostics software package, connects to the 16,000 FOUNDATION Fieldbus devices and enables a problem to be diagnosed and an alert issued before the instrument actually fails and disrupts a process. The system continuously monitors the health of the instrumentation, resulting in increased reliability and fewer suspect measurements. With this preventive maintenance capability, plant operators can have greater confidence that their facility will perform as expected. 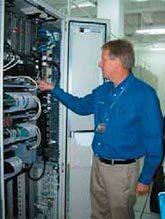 The system has an approximate total of 60,000 I/Os, of which 16,000 are FOUNDATION Fieldbus devices. There are 200,000 software I/O tags and around 3000 segments, and these are controlled by nine CENTUM CS 3000 distributed control systems and 120 field control stations (FCS). 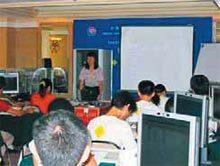 To control the field instrumentation, there are three control centers and fifteen field auxiliary rooms, and they are connected by fiber optic cables to form a plant control information network( PI-LAN). Yokogawa was selected as the main automation contractor for this project and the Yokogawa project team has been involved in this from the front end engineering design phase, ensuring complete consistency in specifications. The functional design specification phase, detailed design specification phase, staging, factory acceptance test, site acceptance test, and commissioning were all well organized and carried out together with EPC contractors through a project management contractor. The DCS anywhere concept stresses the importance of having access to the control room from any location in the plant or office to perform diagnosis, monitoring, and management. Our plant information network is one of the most advanced in the world today. A unique feature of this project is our sustainable development program. Yokogawa has not only worked together with CSPC to construct a large petrochemicals complex, it has helped train its local employees in process control and current process instrument technology. 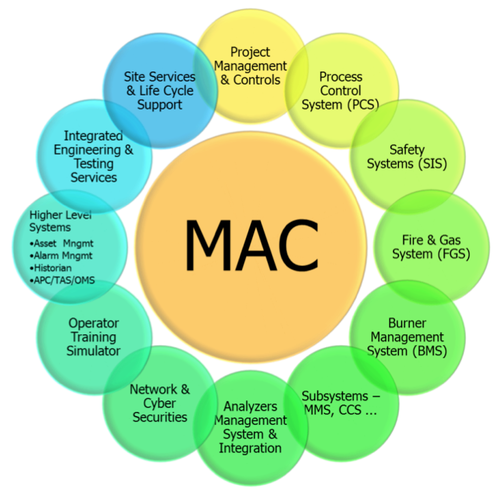 Yokogawa's main automation contractor (MAC) service delivers the full scope of project execution capabilities. Yokogawa assumes responsibility over the entire automation related aspects of the project, helping you meet budget, time, manpower, delivery, and risk management needs. 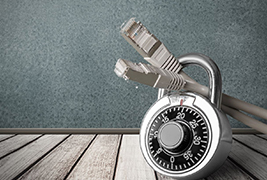 Plant Security Lifecycle Services are a cyber security lifecycle approach to help customers reduce security risks and manage plant security throughout its life.